The next time you're rolling down the West Coast and feeling car-bound jitters, take a breather and discover some of California's top hidden travel gems as picked by us here at Hopper. California is by far one of the best states to visit for a holiday or a road trip. 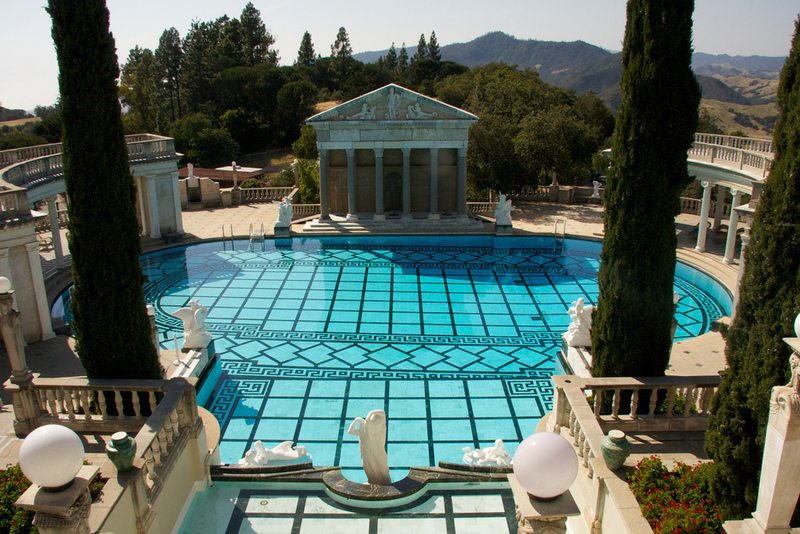 Many visitors to the state typically flock to the larger cities, like Los Angeles and San Francisco, but California also has an abundance of beautiful towns and pristine nature. Its expansive coastline, endlessly tall patches of redwoods, marshes, mountains and beaches all contribute to some of the most diverse landscapes in the country; while the multitude of wineries sitting on undulating miles of vineyards are sure to satiate any wine lover. Seafood is fresh caught, the vibe is low-key, the vino is sublime and the perfect weather is, well, perfect. So the next time you're rolling down the West Coast and feeling car-bound jitters, take a breather and discover some of California's top hidden travel gems as picked by us here at Hopper. Fort Bragg has a long and storied past as a Company Town, but it has re-emerged as a lovely seaside vacation getaway. Three hours north of San Francisco, it's certainly off the beaten path -- but those are the best kind of escapes. However, Fort Bragg's coolest brag is its glass beach: when piles of discarded material, liquor bottles, pre-1967 auto taillights, shattered apothecary bottles and broken windows were dumped into the ocean, they found themselves washed back ashore, literally sanded down and gleaming in the sunlight, forming the glass beach. 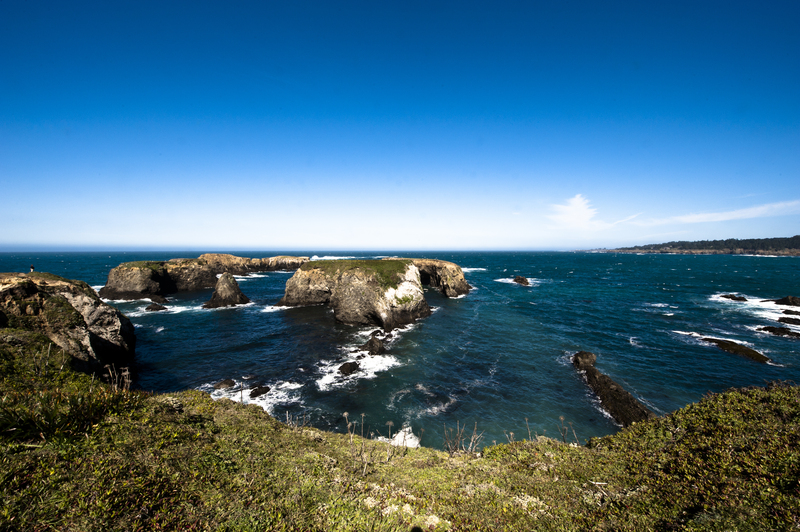 The glittering shores, expansive coastal views, a sprawling botanical garden and great local food and wine (don't miss trendy upscale NorCal wine-and-dine hotspot, Mendo Bistro) make Fort Bragg an awesome place to wander and explore. 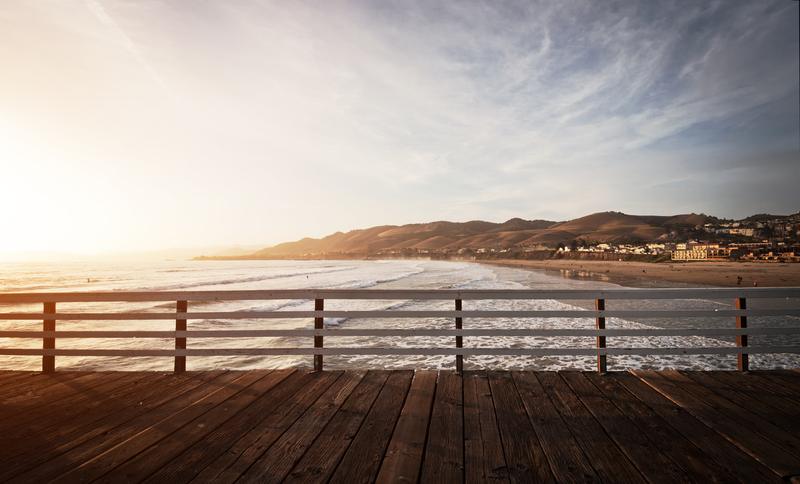 Three hours from Los Angeles and San Jose, and just under four hours from San Francisco, Pismo Beach is a great choice for those looking to have an outdoorsy weekend away by the sea. Outdoors and adventure activities are plentiful in Pismo Beach, including golfing, bicycling, tennis, hiking, horseback riding and scuba diving. The area boasts miles of beautiful, clean beaches with pools, coves and caves that visitors can explore by foot, bike, and, most thrillingly, by ATV. There's also the Pismo Pier, a 12,200-foot pier that's a popular spot for sightseeing, walking, fishing and sunset watching. And, best of all, visitors to Pismo Beach will be in prime position to visit some of the other amazing destinations on San Luis Obispo County's Wine Coast. 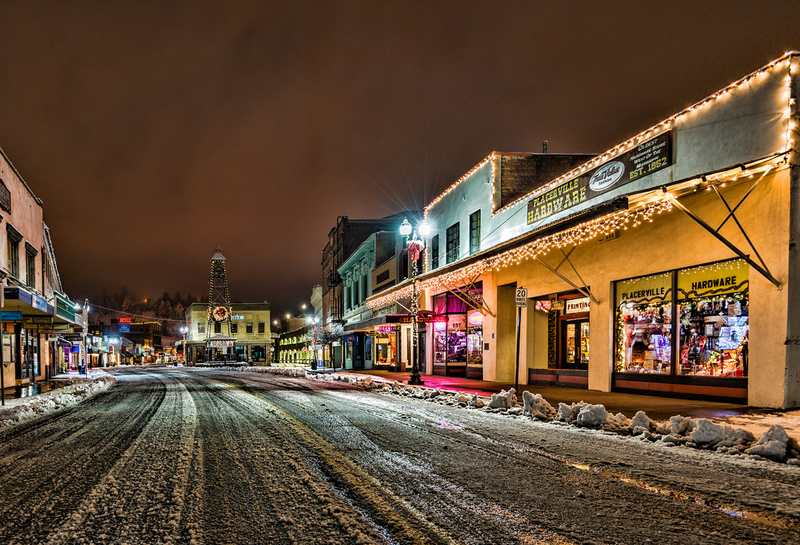 Not far from the town of Eureka, and tucked away in Humboldt County, is a close-knit community called Arcata. It's a little town where humans and the natural world form a close relationship -- the townspeople go out of their way to preserve the forests and the wildlife, and in return the giant redwoods provide shelter and entertainment, while the locally-sourced ingredients from the sea keep the food ever-fresh. The result is a scenic, undulating landscape with innovative nature reserves and marshes, redwood forests as tall as the sky, and a cozy little historic district replete with cafés, boutiques and handsome Victorian buildings. While it's a little too remote to be visited in a single day, Arcata is a great stopover on a multi-day road trip through northern California. Most people associate San Simeon with the famed Hearst Castle -- an undoubtedly shining example of beautiful Romanesque architecture attached to a rich and near-cinematic history, but beyond its majestic grasp, there are acres upon acres of vineyards to explore and restaurants offering fresh seafood and local Californian cuisine. Nature-fanatics, meanwhile, dig the rugged coastline accented by the Piedras Blancas Light Station and flock to San Simeon for its endless coastline, rolling hills, craggy mountains to hike, and wildlife, like elephant seals and birds. A mere four hours from both San Francisco and Los Angeles, San Simeon is an excellent weekend destination for relaxation on the Central Coast. Wine and mines may not be the most conventional combination, but it's only natural in a place like Placerville and El Dorado County in California's Gold Country. With a long, storied history in the California Gold Rush, with attractive and very tour-ready mines to prove it, set against rolling hills of vineyards, the county is popular retreat for thirsty history-buffs. Throw a rock and you'll probably hit a building that's older than your grandfather's father, including the Placerville Historical Museum, situated in a former soda factory built in 1852. However, grab a pint Cozmic Café and catch a new band that's fresher than the salad on your plate. And as Placerville is only 40 minutes outside of Sacramento, on the way between San Francisco and South Lake Tahoe, there's no reason not to stop by for a visit. With numerous acclaimed food and drink venues as well as long acres of redwood forests, Guerneville is a great stop when visiting Sonoma County. 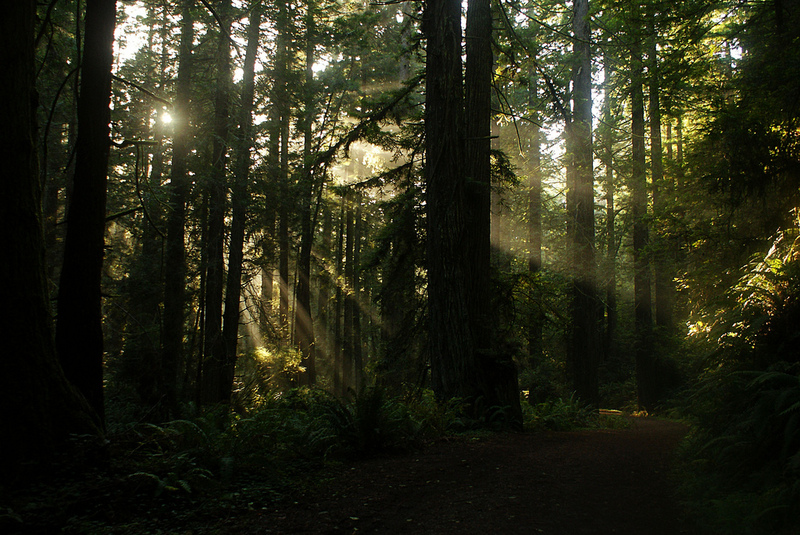 Only 1.5 hours outside of San Francisco, this lush region contains over 6,805 pristine acres of forest. 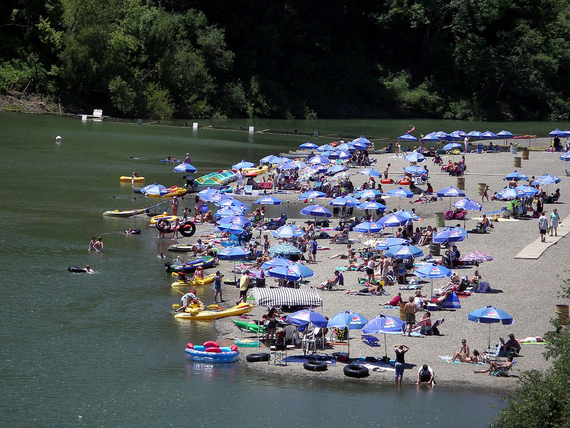 Johnson's Beach is another great selling point and plays host to the annual Russian River Jazz & Blues Festival. In Guerneville itself visitors will find dining, shopping, nightlife, entertainment and farmers markets. True oenophiles ought to follow their palates to the Russian River wine region to sample some tasty wines from local vineyards. "City" is a nebulous term when it refers to a population that last clocked in at 221 at the 2010 census, but Sierra City gets a lot of action. With its craggy mountains, endless natural gardens, the winding Yuba River and a history deeply entrenched in the California Gold Rush, there's always plenty of things to do in Sierra City. 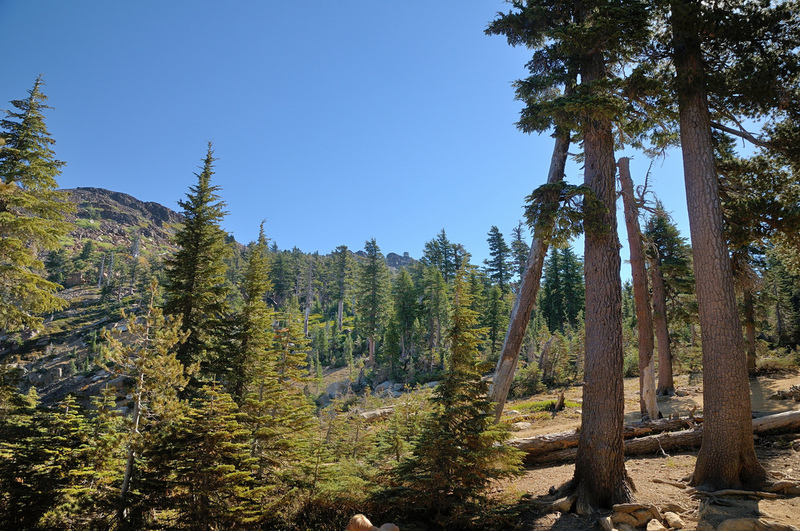 It's a town for adventure, and those who are fortunate to pass by it are explorers in their own right, many of them having made the stop along the arduous Pacific Crest Trail that passes through most of California's Sierra Nevada region. It's a great place to catch a breath, whether in the seven-acre Big Spring Gardens for a hearty barbecue under the tall pine trees, or at the Buckhorn for a rustic night's stay and a huge burger. Travelers not hiking the Pacific Crest Trail can reach Sierra City by driving one hour north from Truckee and I-80, which connects Reno and Sacramento. Point Reyes Station is a small town in Marin County, only a one-hour drive north of San Francisco, that serves as a jumping off point for travelers wishing to explore the Point Reyes National Seashore region. 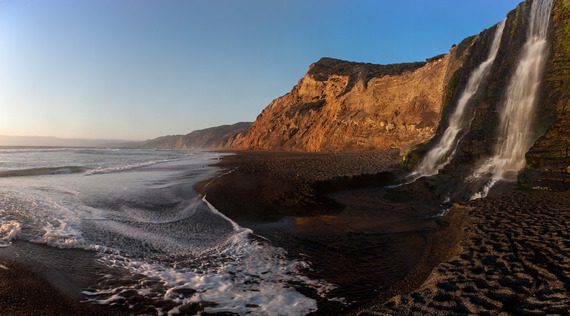 This nature reserve has a stunning and rugged coastline lined with cliffs and even waterfalls, not to mention redwoods galore, nature hiking terrain and activities like bird watching and whale watching. Some of the best views in the area can be seen from the Point Reyes Lighthouse, built in 1870. In Point Reyes Station itself, visitors will find some small hotels and family owned restaurants to tide them over between outdoor adventures.